Relax and unwind on Thursday, June 9 from 6PM to 10PM as we celebrate‪ #‎WorldGinDay‬ at Dusit Thani Manila. Try different cocktails that you can make with Gin from our expert bartenders. 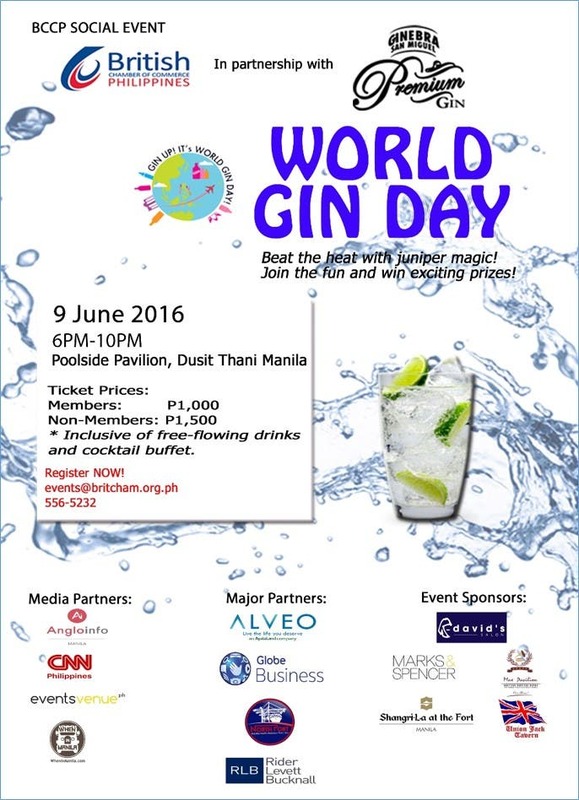 This World Gin Day celebration is in partnership with Ginebra. Thanks to our Media Partners CNN Philippines, Wheninmanila.com, EventsVenue PH, and AngloINFO Manila. Special thanks as well to our Major Sponsors: Globe Telecom, Manila North Harbour Port, Inc., Alveo Land Corp., and Rider Levett Bucknall. Our Event Sponsors: David’s Salon, Marks and Spencer, MaxStays- Max Pavilion at The Venice Residences, Shangri-La at the Fort, Manila, and Union Jack Tavern. 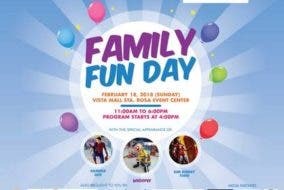 REGISTER NOW at events@­britcham.org.ph or 556-5232 local 848 or 102.